A perfect gift for Mother's Day! 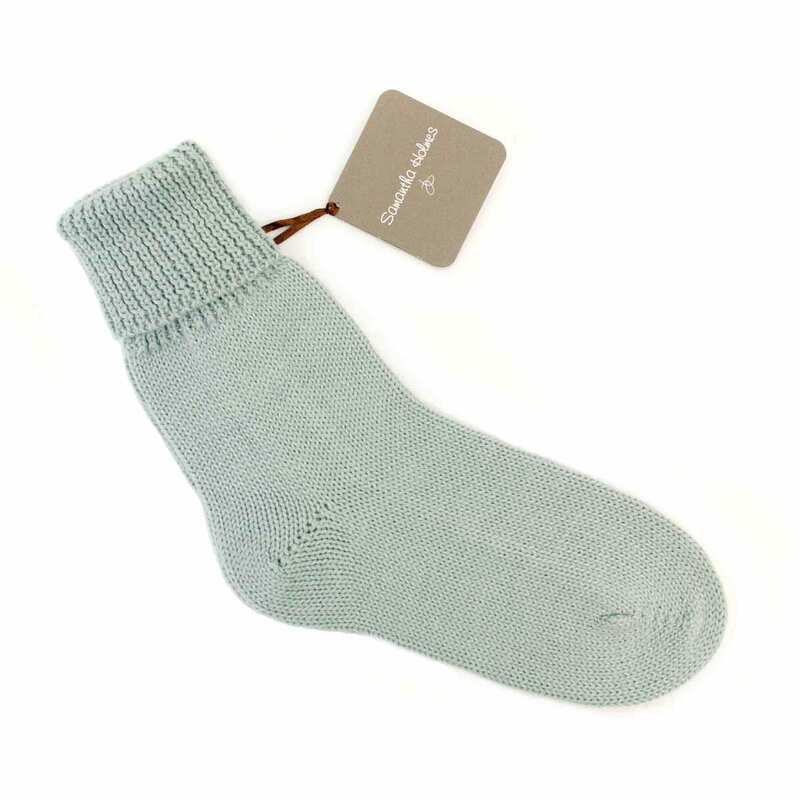 These Alpaca & Bamboo Luxury Bed Sock in Duck Egg Blue by Samantha Holmes are the softest, warmest bed socks you could wish for. Care: A cool handwash (30º) with a mild detergent such as baby shampoo is recommended. Wash for no more than 5 minutes. Rinse in lukewarm water, always pressing, not wringing the fabric. Wrap the item in a clean dry towel to absorb excess moisture. Reshape as necessary and lay flat to dry. Do not hang your wet alpaca garment as it will stretch.